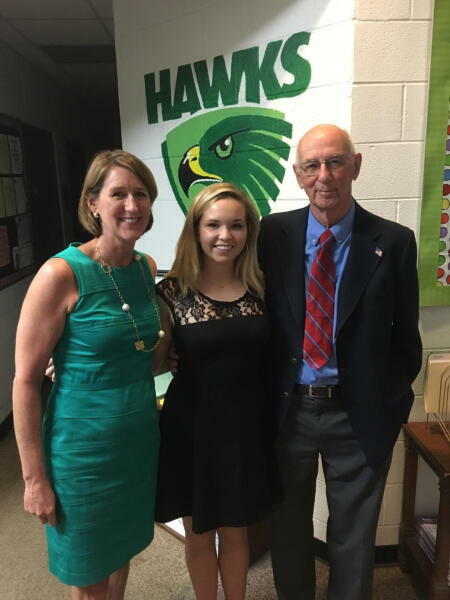 The Lenoir County Community Foundation announces the first scholarship recipient of the Kathleen Morrissey Klutey Memorial Scholarship, according to John Marston, board president. The winner of the $5,000 grant is Mary Caitlin Deans of Walstonburg. She is a student at North Lenoir High School and will be attending UNC-Chapel Hill. She was chosen based on exceptional academic performance while taking a rigorous course load, including advanced placement and other honors classes. Additional criteria include significant involvement in extracurricular activities such as athletics or the arts.